The California Geological Survey (CGS) has developed a new online tool that allows you to search all of CGS’s Regulatory Maps, Landslide Maps, and Tsunami Maps. Also included are related reports and GIS data. CGS will be adding more product to the warehouse. Visit their site at http://www.quake.ca.gov/gmaps/WH/index.htm . Planning Internship at the City of Pico Rivera. Check it out. 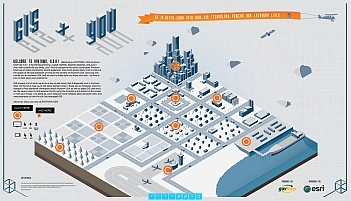 From govloop.com and ESRI, a very cool infographic on how GIS technology powers our daily lives. 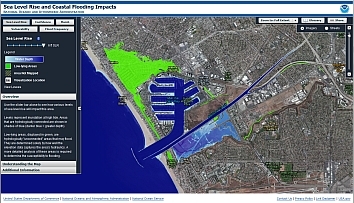 Take a look at the Sea Level Rise and Coastal Flooding Impacts application from NOAA. Besides setting sea level rise up to 6 feet, you can also display levels of confidence of the inundation areas, flood frequency, and socioeconomic vulnerability of nearby communities. 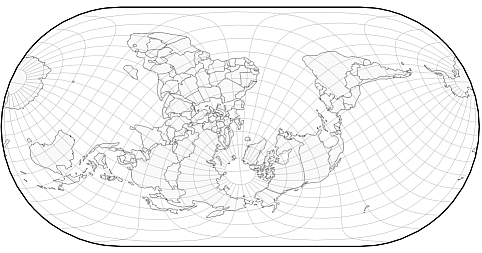 Interesting tool for viewing different map projections. The globe is live in the tool so you can grab it and turn it to see the distortions near the edges. Best viewed in Chrome or Firefox. The USGS announced the first look image from the Landsat Data Continuity Mission (LDCM). The image captures both the host institution of the NC CSC, Colorado State University, as well as the Galena fire scar just west of CSU. The NC CSC is a member node of the NASA Applied Sciences DEVELOP program and the director, Jeff Morisette, worked at NASA Goddard Space Flight Center for 10 year prior to joining the USGS. The center is integrating climate observations and models with remote sensing observation to help meet its mission of bringing the best available earth science to help land managers within the Department of Interior. See the full press release for more info. Interesting article about using GIS, permit data, and LIDAR at the street level to find unpermitted signs and construction.